There are different ways to deploy or publish reports to Reporting Server. In this post/video we will learn how to deploy Data Sources, Shared Data-Set or Report/s by using BIDS/SSDT. If you are an SSRS developer and you have already created SSRS Project with reports by using BIDS/SSDT, then you will be straight forward deploying report. If you are a DBA, you need to get the Solution with SSRS Project and open by using BIDS/SSDT to deploy from there. 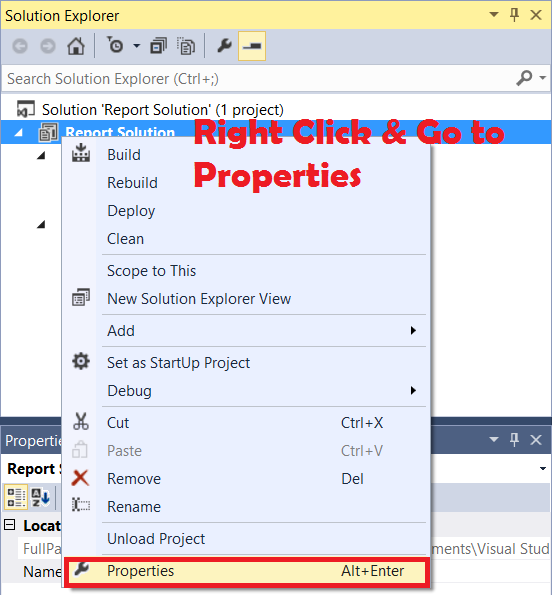 If there is no solution or project provided to you and you have only RDLs (Reports), you can create empty SSRS Project in BIDS/SSDT and then right click on Reports Tab and then add existing Items and choose the report/s you would like to add to Project. If you need to deploy Data Sources and Shared Data-Sets, you need to provide the Folder Names as well. Note: To deploy/Publish reports to Report Server, you need permission on Report Server. Step 2: Provide information such as Report Server URL and Folder Names in which you would like to deploy your Data Sources,Shared Data-Sets and Reports. Step 3: If you would like to deploy all the items such as Data Sources, Shared Data-Sets and Report, you can Right Click on Project and Choose Deploy. To deploy individual item you have to Right Click on that item and hit Deploy. You can select multiple items ( reports) and then right click and hit deploy as well.